Hi guys and gals, Marty here with another quickie ebook review. 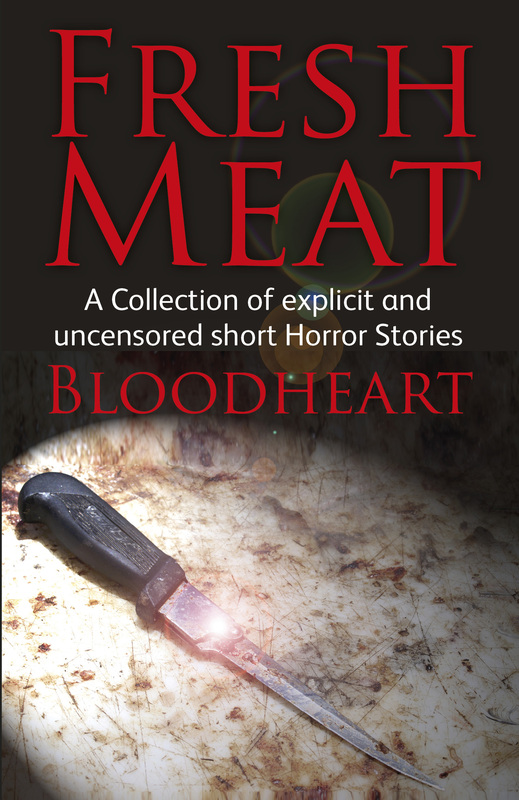 This time it’s by new horror – meister, Bloodheart. Fresh Meat is a collection of uncensored, in-your-face adult horror. If you like your horror nasty, then look no further. Let’s take a peek inside shall we? Hey it’s dark in here, so keep that flashlight on! IF ONLY huh? The cave as you might suspect, is the setting for BH’s first scary offering and it doesn’t fail to deliver! Take a nice location…say Royan in south west France, nice beach, sun, sea, sand and pretty girls, not to mention beer, wine and pizza and you have a beach party with the local surf dudes, one of whom has an overdose of active curiosity, but just what is that, glinting inside the small cave at the side of the cliff wall? Like him, you’ll be drawn in too…so I won’t spoil it for you by telling you the story. Heh, heh! Everyday we get warned about food hygene, but the subject or should I say object in question in this tale is no mere bacterial invader…nooo siree….let me just say this, you’ll never look at lasagne the same way again! Pass the parmesan please. Ru 1 of these txtrs on the fone who abrevi8 all ur wds? Well this cell-phone has a mind of its own….it’s not so much an iphone as more….’die’ phone! You ever thrill to the sight of a beautiful assistant on a large spinning wheel, whilst a blindfolded knifethrower fires off danger blades in rapid succession? Well in that case, read on cos this tale has a sharp lesson to teach! Ever wonder if there’s truth to the old saying that you can see ‘the dead’ in a mirror under the right circumstances? Well it’s true, so read on baby, but just don’t stand too close! I hope you never experience a ‘gnawing sensation of your left or right foot when asleep. It might not be a rat but something definitely more sinister…and whatever you do, don’t move that wardrobe back from the wall! Based on the title of a Porcupine Tree song, Blackest eyes burrows deep into a black, dark soul…but wait, surely not…for this is the soul of a child…but no ordinary boy! Please don’t put that gas mask on again! Okay folks, I’ve given you just a small taste of some of the terror tales that await you in FRESH MEAT. Enjoy!